Dr. Mathew has been practicing Veterinary medicine since 1996 and has been the owner of his own Private Practice since 1999. In 2008, Dr. Mathew expanded his practice and moved to a larger location in Westland, MI. Prior to opening his own practice Dr.Mathew worked in the United States Dept. of Agriculture in Hillsdale, MI and then worked for city of Detroit. 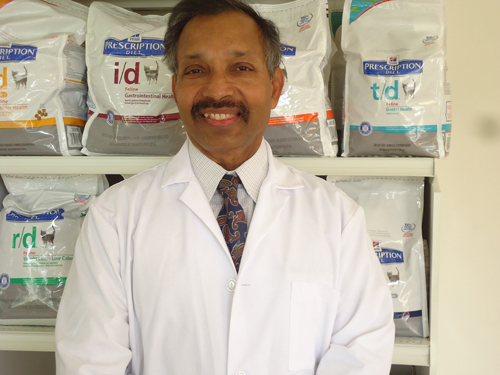 Over the years Dr. Mathew has developed an extensive knowledge in Veterinary Medicine. His experience working in animal control has allowed him to hone his skills in pediatric spay and neuter, care of abused and neglected animals, and care for the everyday house pet.